Horizons Landscape & Irrigation Inc., wants to set off your home or office with the finishing touch of landscape lighting. You want your home or office to look great during the day, but don’t forget about when the sun goes down. Let us bring life to your place after dark! We can install the landscape lights you have always wanted and make your neighbors envious of how beautiful your house is at night with your new landscape lights. Horizons Landscape & Irrigation, Inc. installs all the major brands of Landscape lights and transformers. We carry all three major brands of Landscape lights to give you a larger selection of lights to choose from. 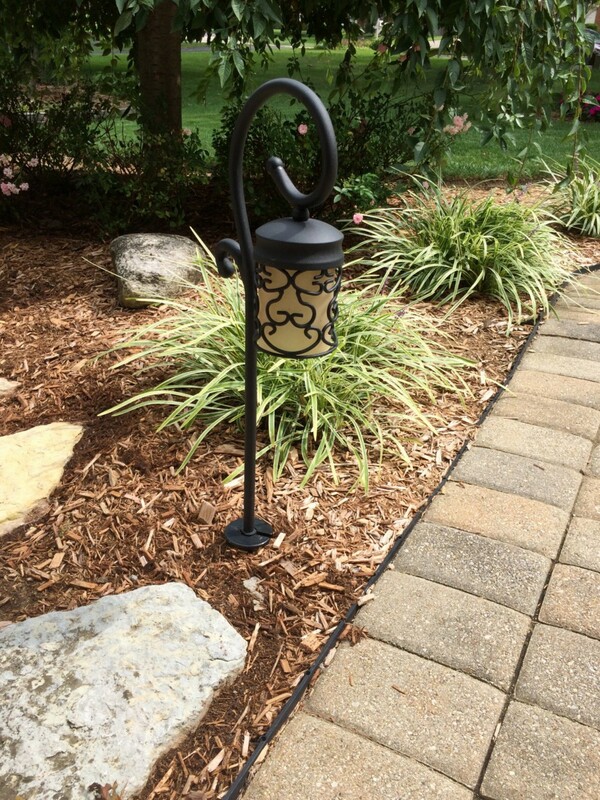 Horizons Landscape & Irrigation, Inc. is more than happy to install front and back yard landscape lighting systems, or just repair existing lights for you. We will do the largest to smallest job. Horizons Landscape & Irrigation, Inc. does a full line of landscape lighting repair. Don’t hesitate to call us for just a simple repair.